At the age of 67, Russ Randall had lived what some might consider the American Dream – having a loving marriage of 46 years, two successful children and a career that had proved to be rewarding in many ways. From his devotion to his Country having served in the Vietnam Conflict, to his love of Christ and his family, Randall's nearly unparalleled passion for politics and astute business sense led him to have a strong passion for life and for seeing those close to him succeed in life, as well. A self-made business man, Randall was an entrepreneur several times over, creating and investing in numerous ventures including the oil industry and real estate, serving as the Principal Broker for Park Avenue Properties in Draffenville. 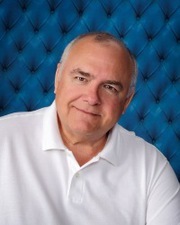 Randall exercised his passion for politics, serving as the GOP’s First District Chairman from 2002-2012 and served several years as the Chairman for the Marshall County Republican Party. Randall, who served as a deacon in his home church of Pathway Baptist, also drove the church bus all over the county on Wednesday nights picking up children who wanted to attend the AWANA youth program. And while those are the things most people knew him best by, those closest to him say it was the things he was not publicly known for that best defined who he was in life.